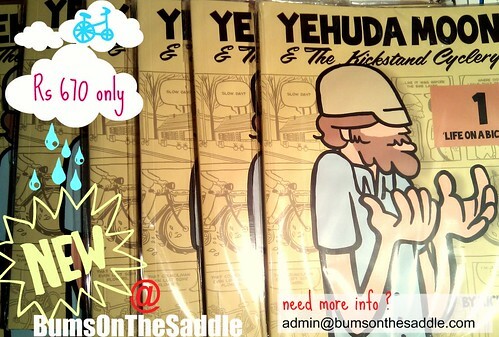 Yehuda Moon works at the Kickstand Cyclery, lives on his bicycle and dreams of a day when everyone does likewise. Courier would be extra depending on where you stay. Do email us at admin@bumsonthesaddle.com if you would like to own one. We do have the book at the BOTS biking library, and your definitely welcome to swing by and check it out too. Embrocation Cycling Journal, another awesome cycling journal @ Rs 500 only !